Here’s where you can find me at Dragon Con this Labor Day weekend – I’ve got some great panels lined up this year, including hosting reunions with David Warner and Malcolm McDowell for TIME AFTER TIME as well as Warner and Ioan Gruffud for HORNBLOWER! Come see me, won’t you? The below information is the TENTATIVE program schedule for Anthony Taylor. Description: A chat on the history of British Horror films and Television; from Hammer Horror to Clive Barker’s influence. 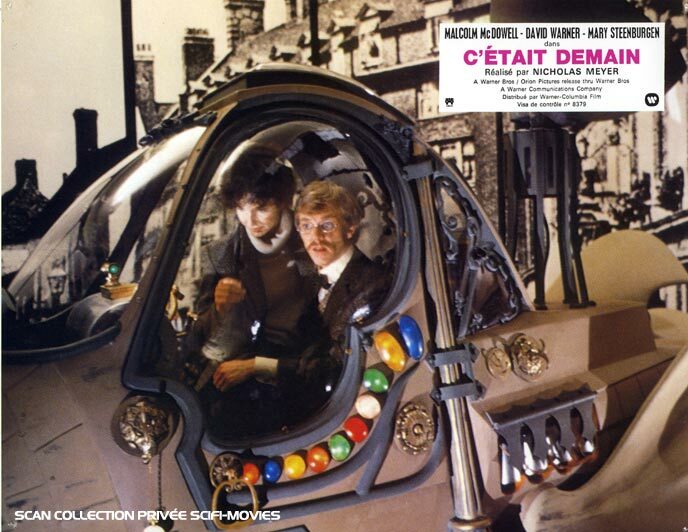 Description: Stars Malcolm McDowell and David Warner discuss their trip through time as H.G. Wells and Jack the Ripper in the 1979 classic Time After Time! Description: Celebrate and be freaked out by three series and a movie of the sci-fi classic. Description: Honoring the creator of Thunderbirds, and the moon-smashing excellence of Space:1999. Description: We honor the architect of everything great about fantasy movies, from Jason and the Argonauts to Clash of the Titans and beyond.